On Earth, life always seems to find a way to survive in all sorts of environments. From the coldest place on Earth to the deepest, there is always life surviving and even thriving. The capacity for life to survive in a myriad of environments give hope to scientists and the public that there is life beyond the confines of Earth. Just recently, researchers have been subjecting organisms living in Arctic permafrost to similar conditions of the permafrost at the poles of Mars. They found that the organisms were capable of surviving in these conditions, which means that if there is life on Mars, that would be one of the best places to find it. Mars stands as one of the beacons of potential life because it could have had a stronger atmosphere in the past as well as an ocean, two important factors of life as we know it. Beyond Mars and our own solar system, researchers at places like NASA have been looking at exoplanets and other celestial bodies to find places that are similar in size and composition to Earth in hopes of finding a habitable planet that can harbor life. To that end, researchers even began to select organisms as candidates for an interstellar mission that would test the ability of life to enter a suspended animation of sorts as well as the ability of our technology to support life on a long-term mission. As we begin to explore more of our own solar system directly, with missions being planned for 2026 and beyond, we will soon be putting these initial tests and simulations to task and uncover if there is life on Mars and beyond. Recently, members of the International Space Station have found life on the surface of the ISS. Russian cosmonaut Anton Shkaplerov reported to TASS Russian News Agency that they swapped the surface of ISS during routine spacewalks. They focused on areas that were more obscure and not easily accessed as well as where fuel wastes were discharged when the engines were in operation. They send the samples to researchers on Earth. 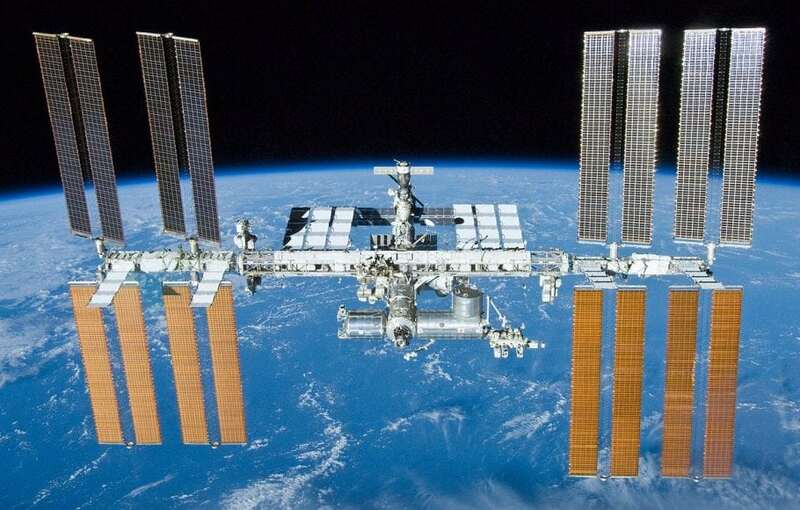 The researchers found that the samples were of bacteria that seems to be living on the surface of the ISS. It should be noted that these bacteria are existing in a vacuum with microgravity and constant exposure to the problems of space, which includes high radiation levels and exposure to solar winds to name a few. They are also exposed to the high fluctuations of temperature on the surface of the ISS, which ranges from 250℉ to as low as -250℉. The researchers noted that these bacteria were absent on the ISS module when it launched, which means that it had to come from somewhere else. They do not believe that it is extraterrestrial, but the bacteria remains unknown. They believe that the bacteria came from tablets that were sent to the ISS along with other materials for study and the contaminated tablets were used on spacewalks and migrated to the surface. The bacteria were probably on the surface for many years. They could have also come from the many human debris that is floating around the Earth. Despite not being some new alien life, this is an exciting discovery because it showcases the resilience of bacteria and studying this particular species would be highly insightful about how life can survive in these harsh conditions. Testing the limits of life on the ISS is not a new idea as there have been many studies done in the past as well as continuing studies happening right now. The most obvious ongoing experiment is understanding the effects of space on humans. We are constantly observing things like microgravity, radiation, g-forces, and many other factors because we want to know how they affect the human body from macro to microscopic levels and beyond. Recently, NASA got to conduct a twin study as they examined the difference between astronaut Scott Kelly, as he was on the ISS and immediately when he returns, and Mark Kelly, retired astronaut and twin brother to Scott, because this would give a great insight into the effects of space with Mark acting as a sort of before picture and Scott would be an after picture. Aside from humans, researchers have sent many different organisms to space, like mice, plants, viruses, and bacteria. 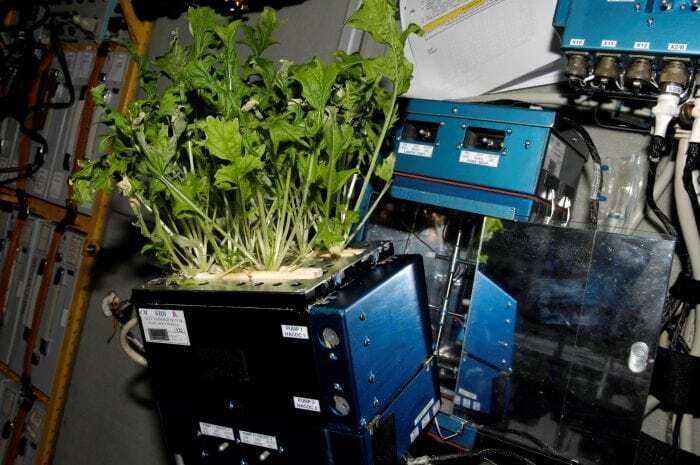 We want to send plants to space because we need to understand how they grow outside of Earth. This is important because sending food and oxygen into space is expensive at the moment. Also, as we plan more frequent missions into space, having a food source beyond Earth would make all of those easier. For bacteria and viruses, we study them to identify how they change in space because we can still get sick in space and have a grasp on how these things work can give us an upper hand in treating them long before they happen. Finding life on the surface of the ISS only furthers shows the importance of continued study of the limits of life. As humans begin to explore more of space, we will also be carrying all the bacteria that we have on our bodies as well as what is around us and inside of us. These things will inevitably contaminate the spacecraft, stations, moons, and planets that we visit. It is possible that we could harbor the lifeforms that will one day thrive on Mars. Understanding all of this and preparing for them is crucial to prevent contamination of samples taken from other planets because we do not want our lifeforms to confuse results that could indicate life beyond Earth and miss out on the chance to find life. As Shkaplerov leads the new crew on the ISS, it will be interesting to see what else he and his team uncovers.